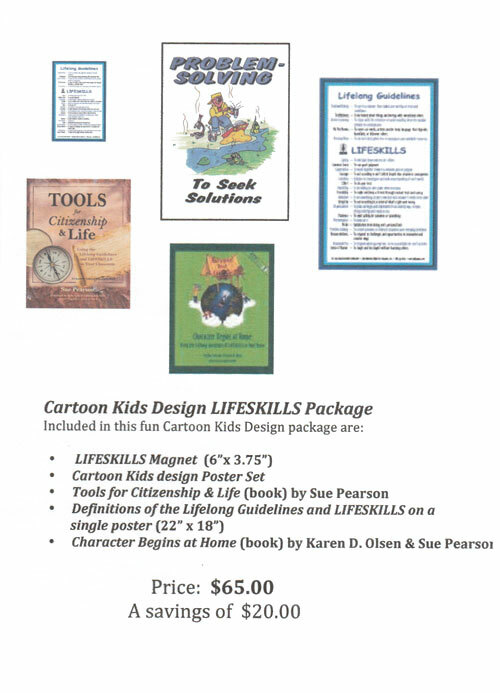 Books for Educators is your one-stop shopping site for the latest in Brain-Compatible Learning, Character Education, Citizenship Development, and HET Model (Highly Effective Teaching, formerly known as the Kovalik ITI model). 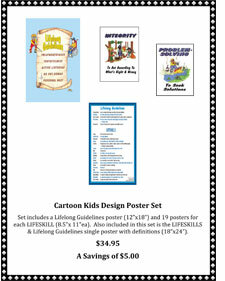 Browse books, DVDs, posters, and other educational resources and learning materials in our store. 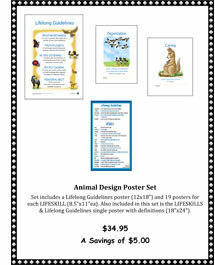 As the publisher of HET materials, we are their sole retailer and wholesaler. Our Mission is to provide the best resources—from theory to practice—and to do so with quality customer service. We do the research for you! 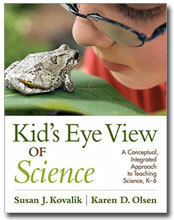 Rest assured that our materials are built upon a 21st century knowledge of how the human brain learns. EXCEEDING EXPECTATIONS: A User's Guide to Implementing Brain Research in the Classroom, 5th Ed. 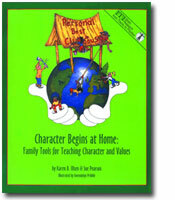 Books for Educators has moved to Redmond, OR, but we still offer prompt service and are proud to be the publisher and seller of HET resources (Highly Effective Teaching) as well as excellent resources for character education. Discover the relevance of brain-compatible learning through our thought-provoking books, DVDs, and other materials for use at school, at home, and at work. 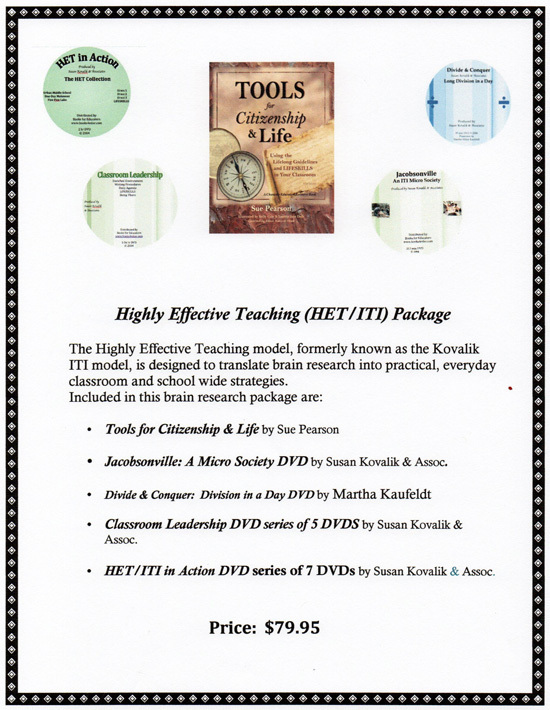 The Highly Effective Teaching model (HET, formerly known as the Kovalik ITI model) is designed to translate brain research into practical, everyday classroom and school-wide strategies. Developed over the past 30 years, it is continually revised to stay current with forthcoming brain research and to respond to the needs of classroom teachers. The result is a powerful, comprehensive view of teaching and learning for the 21st century coupled with doable, step-by-step implementation strategies for curriculum development and instructional strategies. We offer high quality products and take great care in handling our merchandise. However, if you receive merchandise in damaged condition, we will replace the merchandise at no charge, but ONLY IF you notify us within 3 days of receipt of the shipment and you retain all shipping materials to expedite filing a claim with our shipper. In the case of a shipping error on our part, please contact us immediately. we will work with you to arrive at a mutually satisfactory solution. This book boldly asserts that brain research should be applied wherever human brains are working—that not only can and should brain research inform how and what we teach in the classroom, it should be brought to bear in boardrooms and the school budgeting process as well. What Brain Research Can Teach About Cutting School Budgets offers principals, teacher leaders, and district staff a step-by-step process for applying the principles of how students learn to the budgeting process. The process applies equally well to deliberations to add funding or to cut it. The end result? Improved student outcomes. See a political action project unfold. Followers are better able to follow their leader if the journey is clear to all. The Daily Agenda helps both teacher and students organize, manage time, and create an environment with consistency and continuity so that everyone can anticipate what’s next. It’s a fine line between an enriched environment and a cluttered one. One stimulates learning, the other distracts from it. 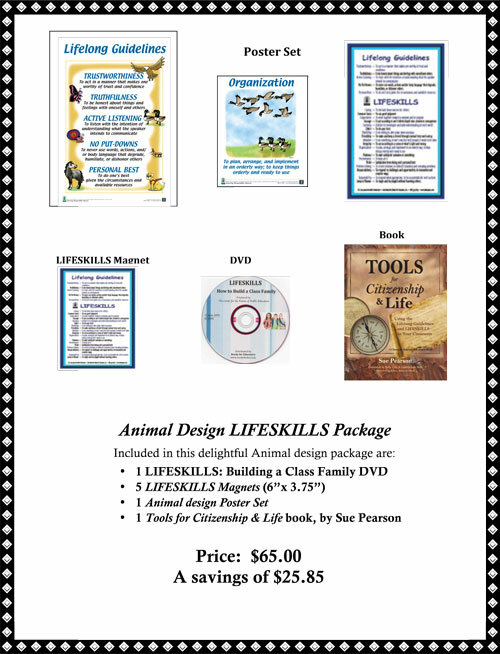 This DVD explores room design, color suggestions, how to walk the line between enrichment and clutter, and how to organize multiple resources. “Being There” experiences are the best, and easiest, way to jolt the brain into creating new connections for learning and wiring it into long-term memory. 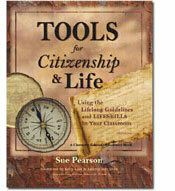 See how you can incorporate them into your classroom. Research conclusively shows that building a sense of community in the classroom accelerates learning as well as social/personal growth. Join this two-teacher team and their 60 students, grades 4–6, for a look at what a multi-age HET/ITI class family looks like and how to create one in your own classroom. 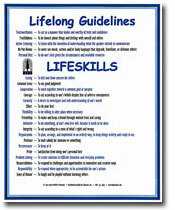 Written procedures are the flip side of the daily agenda. The daily agenda is unique to each day; written procedures describe the social and personal behaviors needed for re-occurring events such as morning and end of day procedures, group work procedures, what to do when you finish your assignment early, lunch room procedures, quiet time, etc.